I was in the mood for a little experimenting this past weekend. 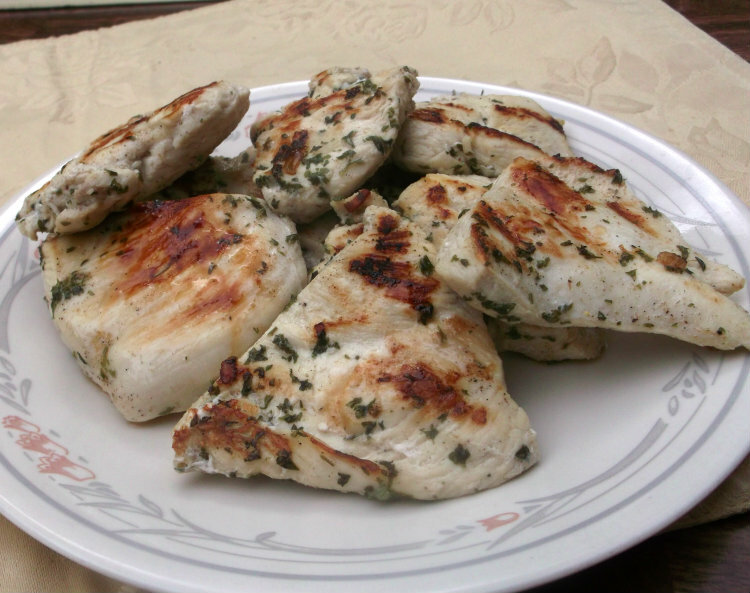 I had decided on chicken breast on the George Foreman Grill, but wanted to try something a little different. So I decided to throw some flavors together that would I not have thought of trying before. For the marinate I used beer for the base along with some parsley, cumin, a pinch of onion, garlic, salt and pepper. I wasn’t sure what to expect and to my surprise the chicken turned out nice and tasty. I served it on some fresh homemade buns. I had the leftovers later in the week and added a slice of tomatoes and toasted the buns, it was just as tasty the second time around. With summer here in the States I am sure that this chicken would be great if it was made on an outside grill. 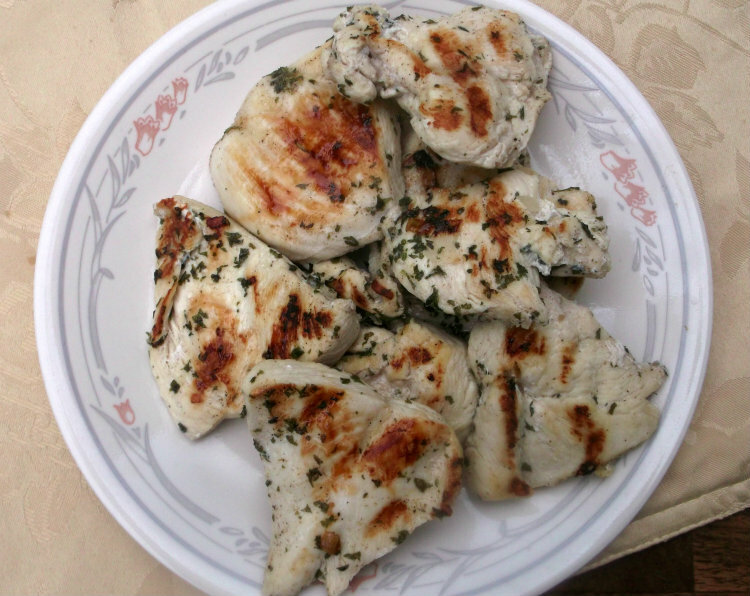 I used my George Foreman Grill since it is nice and quick to heat up and easy to clean up. 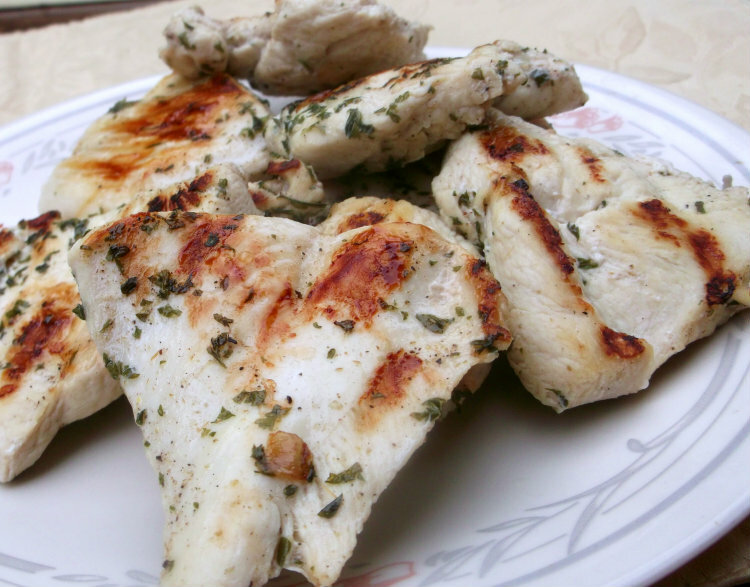 Cut chicken breast in half and then slice each half the long way for a thin piece of chicken. Add all ingredients into a Ziploc bag and set in the refrigerator for about 6 hours. Turn bag once in a while to mix things up. Heat grill brush with olive oil and cook chicken until no longer pink in center. Serve with your favorite bun. It looks like a recipe for my next bbq. I love the idea of the beer to keep the chicken moist, and the smoky flavor the cumin adds. I’ll definitely try this on the outside grill. Sounds like a tasty marinade for the chicken breasts. Any recipe with beer is a good one. 😉 Super flavors in this – thanks. This sounds great, nice and light too.